Posted August 1, 2013 by Joel Goldman & filed under Crime Novels. 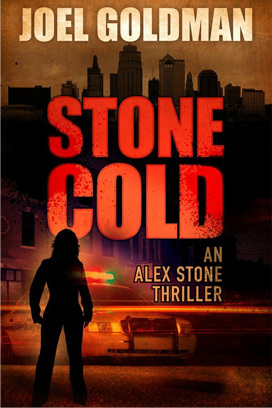 I’m happy to let you know that my latest crime novel, Stone Cold, recently hit the number one spot on Amazon, which is always a big thrill for me. Those numbers change hourly, so it might not still be number one by the time you read this, but it’s still a kick and lights a fire under my keyboard while I’m writing the next Alex Stone thriller. Though I’m way past the opening sentence, I really liked a story I ran across the other day in The Atlantic entitled, Why Stephen King Spends ‘Months and Even Years’ Writing Opening Sentences. 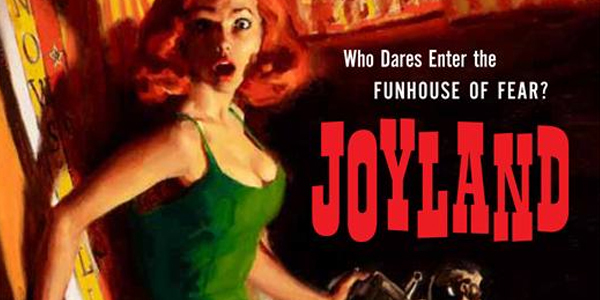 Author Joe Fassler interviewed King about his newest novel, Joyland, his upcoming sequel to The Shining called Doctor Sleep and about writing in general. King tells Fassler that he knows the sequel to The Shining is a good book and delivers all the horror he’s known for, but he wonders if people will like Doctor Sleep as much as they did the original. I found it interesting, and comforting, that other authors – especially heavyweights like Stephen King – have the same apprehensions I do about people liking their sequels as much as the original stories. I write crime novels, of course, to make a living, but putting that aside, I write for you – the reader. I always worry a little bit about whether or not you’ll like each sequel as much as the one before it. And as I pour my time and heart into the next book in the Alex Stone Thriller Series, I hope you’ll enjoy it as much as you enjoyed Stone Cold. Last week I wrote about plotters vs. pantsters and revealed that when I write, I fly by the seat of my pants rather than using an outline. King says he does the same sort of thing. He just writes. But in the interview he did talk about the critical importance of opening lines. He says, “An opening line should invite the reader to begin the story. It should say: Listen. Come in here. You want to know all about this.” King goes on to say that the opening line should “extend an appealing invitation – one that’s difficult, even, to refuse”. Now that’s riveting! Makes you wonder why Torrance thinks Ullman is an “officious little prick”. Is it just because he’s plump, prissy, and short? That hardly seems fair. It compels you to read on to find out why. Opening lines by Cassandra Clare, Stephanie Meyer, and other YA authors, pique interest and invite you directly into the story – especially if you’re a teen. What type of “thing” is the boy trying to bring in? He’s a boy? Are young boys now allowed entrance into places that need a bouncer with a shaved head and massive muscles? No, I haven’t read the novels by Meyer or Clare, but I thought I’d look up their opening lines to see if they’re enticing and they are. I suppose that’s one reason people of all ages got hooked on the Twilight saga and that Clare’s first book will soon be a feature film. The opening lines gave readers an invitation that they just couldn’t refuse – they had to keep reading and wanted more. What are some of your favorite opening lines and why? Share them with me and we’ll discuss them. Great post, Joel! And it’s so true! If I’m bored and have trouble trudging through the first few pages of a novel, I may just put it down. That first line really does need to grab me and can certainly help set the tone. I equate it a lot to an article’s headline. Granted you have more “room” and flexibility in the opening line of a novel, but the concept is the same. Grab my attention and take me captive! I write general/literary fiction, but I think long and hard about that opening sentence, sometimes for years. It is the most changed thing about my books (including even the title, usually). My last book started with “They say that she was playing God,” but that didn’t end up working so I went with “Tow-headed Mikhail bent over the lifeless, flattened, bloodied chipmunk. Then he squatted next to it and studied it hard with steel-blue eyes that were tearing up,” which I have regretted at times because, unbeknownst to me, some people do not know the word “tow-headed.” The book I’m working on begins, “She had a perm. John didn’t know anything about those kinds of things, but he was surprised later to find out—when she came home one afternoon smelling of bitter plastic and fish—that what he had been running his fingers through and adoring splayed on his white, eyelet bed linen, was a ruse,” which I am happy with, right now. At any rate, I think I could use to give more attention to my chapter titles. They sort of come last on my “things to do” list, which I’m not sure is a great idea. I like that first line — “They say that she was playing God”. Definitely grabs me right away. Haha! But so does your “Tow-headed Mikhail bent over the lifeless, flattened, bloodied chipmunk.” And, just because some people do not know what tow-headed means, doesn’t make it a bad choice for an opening line at all. Maybe I’ll write a post sometime about chapter titles. As you well know, many authors just don’t give their chapters titles and simply opt for good old-fashioned numbers. I like both.